As Robert Letham observes in his new book, “For the vast majority of Christians, including most ministers and theological students, the Trinity is still a mathematical conundrum, full of imposing philosophical jargon, relegated to an obscure alcove, remote from daily life” (p. 1). In 1967, the Roman Catholic theologian Karl Rahner made a now famous comment along similar lines, saying, “We must be willing to admit that, should the doctrine of the Trinity have to be dropped as false, the major part of religious literature could well remain virtually unchanged” (cited in Letham, p. 291). This widespread lack of attention to the doctrine of the Trinity has led to serious problems in the church. As an example, most Western Christians today are, in effect, practical modalists (understanding the Father, Son, and the Holy Spirit to be three modes or forms of one divine person) with little or no understanding of the orthodox biblical doctrine of the Trinity (p. 5-6). In The Holy Trinity , Letham seeks to address and correct these problems. Robert Letham is a Lecturer in Systematic and Historical Theology at Wales Evangelical School of Theology. Prior to accepting this position, he was the senior minister of Emmanuel Orthodox Presbyterian Church in Wilmington, Delaware. He is an adjunct professor of systematic theology at Westminster Theological Seminary and is the author of several books, including The Work of Christ, The Lord’s Supper: Eternal Word in Broken Bread, and Through Western Eyes. 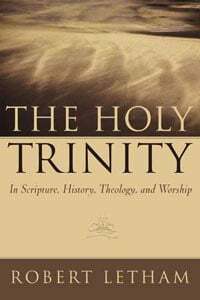 His recent volume, The Holy Trinity, is an attempt to recover the doctrine of the Trinity “at ground level, the level of the ordinary minister and believer.” Letham believes that such a recovery will “revitalize the life of the church and, in turn, its witness in the world” (p. 7). Letham divides his book into four main parts. Part One is entitled “Biblical Foundations” and includes three chapters on the relevant biblical texts. Part Two is entitled “Historical Development” and includes nine chapters tracing the development of the doctrine of the Trinity from the Apostolic Fathers to John Calvin. Part Three is entitled “Modern Discussion” and includes four chapters that discuss the Trinitarian theology of Karl Barth, Karl Rahner, JÃ¼rgen Moltmann, Wolfhart Pannenberg, Sergius Bulgakov, Vladimir Lossky, Dumitru Staniloae, and Thomas F. Torrance. Part Four is entitled “Critical Issues” and includes four chapters dealing with the Trinity in relation to such issues as the Incarnation, Worship, Prayer, Missions, and Union with Christ. Part One is a careful look at the biblical evidence for the doctrine of the Trinity. The Old Testament, according to Letham, does not teach an explicit Trinitarianism, but the doctrine is implicit, and the Old Testament “does provide the essential foundation without which the full Christian doctrine of God could not exist (p. 32). In the New Testament, what was only implicit in the Old becomes explicit. “Jesus as Son claims a relation to the Father of great personal intimacy, exclusive and unique, which is marked by full and willing obedience to the Father” (p. 39). Jesus “is distinct from the Father, and yet one with him” (p. 39). Throughout the New Testament, the deity of Christ is explicitly affirmed (e.g. Rom. 9:5; Titus 2:13; 2 Pet. 1:1). Because of this biblical testimony, Christians “pray to Jesus, worship him, and sing praises to him as God” (p. 50). The church, however, “understood its worship of Jesus as within the boundaries of OT monotheism” (p. 52). The Holy Spirit is “active at every stage of redemption, especially in the life and ministry of Jesus Christ, from conception to ascension” (p. 56). The New Testament, “while never explicitly calling the Holy Spirit ‘God,’ ascribes to him divine characteristics” (p. 56). Letham notes the numerous triadic patters in the New Testament. These include most obviously, the baptismal formula (Matt. 28:19), but the New Testament includes many others as well (e.g. 1 Cor. 12:4-6; Gal. 4:4-6; Eph. 4:4-6). 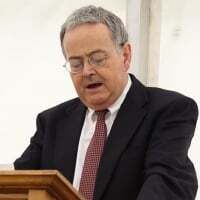 Once the biblical foundations for the doctrine of the Trinity have been established, Letham proceeds to examine the historical development of the doctrine in Part Two. After outlining the contributions of early Christian writers such as Irenaeus, Tertullian, and Origen, he devotes several chapters to the Arian controversy, its aftermath, and the orthodox response at the Councils of Nicea and Constantinople and then turns to a detailed discussion of the Trinitarian theology of Augustine. He then examines the ongoing filioque controversy. The original text of the Niceno-Constantinopolitan Creed declared that the Holy Spirit “proceeds from the Father.” Due to a continuing Arian threat in Spain, local liturgies began to add the term filioque so that the Creed then read, “from the Father and the Son.” The filioque was adopted by the local Council of Toledo in 589 and was eventually declared to be dogma by the Roman Catholic Church at the Council of Lyons in 1274. The Eastern Church objected to the addition of this term on both procedural and theological grounds and continues to use the original version of the Niceno-Constantinopolitan Creed to this day. Letham provides a helpful examination of the various arguments used on both sides of this debate. Letham turns next to the contributions of several medieval Western and Eastern theologians. He chooses Anselm, Richard of St. Victor, and Thomas Aquinas from the West and John of Damascus, Photius, and Gregory Palamas from the East and offers helpful critical discussions of each. Of particular interest to Reformed readers will be Letham’s discussion of the Trinitarian doctrine of John Calvin. He observes that some scholars have considered Calvin to be an innovator in terms of his Trinitarianism (p. 252). Letham, however, convincingly demonstrates that Calvin’s doctrine of the Trinity is very conservative. His differences are with some of the speculations of late medieval theologians, not with orthodox Nicene Trinitarian doctrine. In Part Three, Letham turns to the contributions of important modern theologians who have written extensively on the doctrine of the Trinity. He devotes an entire chapter to Karl Barth saying, “it is from him that the recent revival of interest in the doctrine of the Trinity has its genesis” (p. 272). Letham notes that Barth has often been charged with modalism, but as Letham demonstrates, “Barth continues to oppose modalism at every opportunity” (p. 288). Yet the criticisms are not entirely unwarranted, because at the heart of Barth’s doctrine is the constant refrain that “in God there is but one subject, not three” (p. 289) — a refrain that leaves him open to the charge of unipersonality. Letham then proceeds to an examination of the teachings of Karl Rahner, JÃ¼rgen Moltmann, and Wolfhart Pannenberg. Karl Rahner was one of the most significant Roman Catholic theologians of the twentieth century, and his work on the doctrine of the Trinity has been very influential, not only among Roman Catholics, but also among many Protestants as well. While appreciative of Rahner’s contributions, Letham observes serious weaknesses in his doctrine. With Rahner, since human experience is the yardstick, situated in history, the immanent Trinity is collapsed into the economic Trinity, which in turn is founded on the human experience of limits and transcendence. History is absolutized and general human experience is the basis for an understanding of God. Either a monistic modalism or a social doctrine of the Trinity that veers into tritheism follows. In turn, this merges the Creator and the creature into one cosmic process. God is as dependent on the world as the world is on God. The result is pantheism or panentheism (p. 298). Letham is also critical of JÃ¼rgen Moltmann’s doctrine of the Trinity. As Letham demonstrates, Moltmann’s doctrine is unmistakably panentheistic (p. 301). His doctrine also “drifts uncomfortably close to tritheism” (p. 308). According to Letham, Wolfhart Pannenberg’s doctrine is similar to Moltmann’s. “If he does not go quite as far as Moltmann, he heads in the same direction” (p. 312). Like Moltmann, Pannenberg “makes God dependent on history and thus on his creation” (p. 319). And like Moltmann, he also comes dangerously close to tritheism (p. 320). Following his discussion of three modern Western theologians, Letham discusses the contributions of three modern Eastern theologians. The first, Sergius Bulgakov, was a professor at the University of Moscow. According to Letham, Bulgakov’s doctrine, while brilliant in many respects, has numerous weaknesses including panentheistic tendencies (p. 338). Turning to Vladimir Lossky, Letham notes that the center of his theology is “the axiom that God is unknowable in his essence and transcends his revelation” (p. 339). Lossky, therefore, affirms an apophatic approach to theology — we are to know God primarily through mystical contemplation. Letham observes that Lossky so emphasizes this approach that his theology reduces to total agnosticism (p. 346). Letham is also critical of Lossky’s distinction (following Palamas) between God’s essence and his energies. As Letham observes, it introduces a problematic division in the being of God that is not found in classic Trinitarian dogma (p. 346). Letham next turns to Dumitru Staniloae who he considers to be “more moderate, nuanced, qualified, and balanced than Lossky” (p. 349). According to Staniloae, rational knowledge of God is not to be renounced, it is to be deepened by apophatic knowledge, and “apophatic knowledge must come to expression in rational terms” (p. 349). Letham concludes this chapter by observing that while certain emphases in the Eastern doctrine of the Trinity cause difficulties, the East also has criticisms of the West that need to be heard. The final chapter of Part Three is devoted to a discussion of the Trinitarian theology of Thomas F. Torrance. Letham believes that Torrance is “arguably the most significant theologian in the English-speaking world of the past fifty years or more” (p. 356). Letham quotes Torrance as saying that the Trinity “is both the ultimate ground of our salvation and knowledge of God and the basic grammar of Christian theology” p. 359). There is thus an integral connection between theology and worship. Letham carefully examines Torrance’s doctrine concluding that it is essentially orthodox despite having a slight tendency to stress the one being of God without equally stressing the irreducible distinctions of the persons. In spite of this, Letham believes that “Torrance’s treatment of the Trinity is probably the best one to date” (p. 373). The East, from the fourth century, has held that the person of the Father is the center of divine unity. The main danger of this is a subordinationist tendency. If the Father is the guarantor of unity in the Godhead, it is only a short step to the Son and the Holy Spirit having a derivative status. On the other hand, the West since Augustine has begun with the divine essence. It has had difficulty accounting for the real eternal distinctions between the persons. With the essence prior to the persons, a less than fully personal view of God has resulted. The bias here is in a modalist direction. Seeing this, some in the West, like Moltmann, have argued that the Trinity is a community of three equal persons. However, since they lack a full doctrine of the immanent Trinity and correlate the Trinity with human history and experience, their conclusions veer toward tritheism and pantheism, often being explicitly panentheistic. On the other hand, T.F. Torrance, going back behind the Cappadocians and Augustine and following clues from Athanasius and Gregory Nazianzen, argues that the monarchy is to be seen as the whole Trinity, understood in a homoousial and perichoretic manner. However, he does not give equivalent emphasis to the distinctiveness of the three persons (p. 377). As Letham observes, “we need to preserve both the unity and identity of the one indivisible being of God and, at the same time, the irreducible differences among the three persons” (p. 378). Letham then sets forth what he considers to be the vital parameters of an orthodox doctrine of the Trinity. First, “we need to recognize the equal ultimacy of the being of God and the three persons” (p. 381). Second, the three persons are homoousios — “The Father, the Son, and the Holy Spirit are identical in being” (p. 382). Third, the three persons “mutually indwell one another in a dynamic communion” (p. 382). This is the doctrine of perichoresis. Fourth, the three persons “are irreducibly different from one another” (p. 382). Fifth, there is “an order among the persons” (p. 383). This does not mean that there is a difference in rank or that there is a hierarchy. It is a recognition that the Father sends the Son, but the Son does not send the Father. The Holy Spirit, likewise, proceeds from the Father, but the Father does not proceed from the Holy Spirit or the Son. A doctrine of the Trinity that is to be faithful to the Bible from which it emerges must give equivalent expression to each of the above parameters. These parameters are mutually defining. The three persons are irreducibly different, and they are one identical being. There is an order among them, and they mutually indwell each other, are equal in status, and are one in being. They mutually indwell one another, and they are irreducibly different. And so on and so forth (p. 383). Letham continues by exploring a number of important questions related to the Trinity and the Incarnation of the Son such as eternal generation, the obedience of Christ, subordinationism, and the work of Christ. In chapter 18, Letham explores the way in which the Christian doctrine of the Trinity should impact our prayer and our worship. He accurately observes that Trinitarian theology has had a much greater impact on the worship of the Eastern church and argues that it must impact the Western church as well. He offers a number of practical suggestions to help accomplish this goal (pp. 421-24). Letham turns his attention next to the way in which the Christian doctrine of the Trinity should impact our understanding of creation and of missions. In particular, he notes how the Christian doctrine of the Trinity is especially needful in approaching the two major challenges to the Christian faith today: Islam and postmodernity. In his final chapter, Letham discusses how the doctrine of the Trinity informs our understanding of the nature of persons. The chapter includes an especially helpful discussion of the doctrine of union with Christ. The book concludes with two appendices in which Letham responds to the teaching of Gilbert Bilezikian and Kevin Giles respectively. The Holy Trinity includes a glossary of theological terms with which some readers may be unfamiliar. The definitions given in the glossary are clear and concise. In addition, there is a good bibliography as well as an index of Scripture and a subject and name index. All of these add to the practical value and usefulness of this volume. Letham has done the church of Christ an enormous service with this volume. My reservations about the book are few and are concerned primarily with Part Two. I am unsure, for example, why the historical overview stops with John Calvin and then moves directly to modern theologians of the twentieth century. I am also unsure why John Calvin is the only Reformer to be discussed. In my estimation, it would have been helpful had the book discussed the Trinitarian theology of all the major Reformers, or at least Luther and Calvin. A discussion of the Trinitarian theology of Reformed Orthodoxy in the Post-Reformation era would have also been beneficial (For those who are interested, volume 4 of Richard Muller’s Post-Reformation Reformed Dogmatics covers this topic in detail). A more systematic overview of the Trinitarian theology of major Reformed theologians and confessions between the Reformation and today may also have been of interest to readers. Of course these additions would have expanded an already lengthy book, but in my estimation, the additions would have improved that section of the work. These minor criticisms aside, this is an outstanding volume that models theology the way theology should be written. With a topic such as this one, that has spawned so much deep theological discussion, it would be easy to get caught up and lost in the fine philosophical abstractions. Yet, while Letham shows a definite grasp of these issues, he does not forget that he is writing about the God we worship. Many of the chapters and sections end with prayers. And the book itself ends with chapters on the impact the doctrine of the Trinity should have on personal and corporate piety. It is both intellectually thought provoking and spiritually edifying — a rare combination in theological works today. Robert Letham has made a significant contribution with this volume, a contribution I recommend enthusiastically.